This is what Lisa achieved in just 13 weeks. Great first session. Biosignature assessment was completed and gave us a starting body fat of 32.9%. Callipers reveal Lisa is insulin resistant so a nutritional and lifestyle strategy has been set to combat this. The main aim is fat loss and toning with fitness in mind. Lisa did brilliantly; I look forward to bringing you more news as we progress in her transformation. Callipers show a 3.2% reduction in body fat and 10lb in actual fat lost. This is an amazing start and indicates the nutritional strategy I have given Lisa is working. First session working out was a great success, Lisa has a positive attitude and is doing really well. 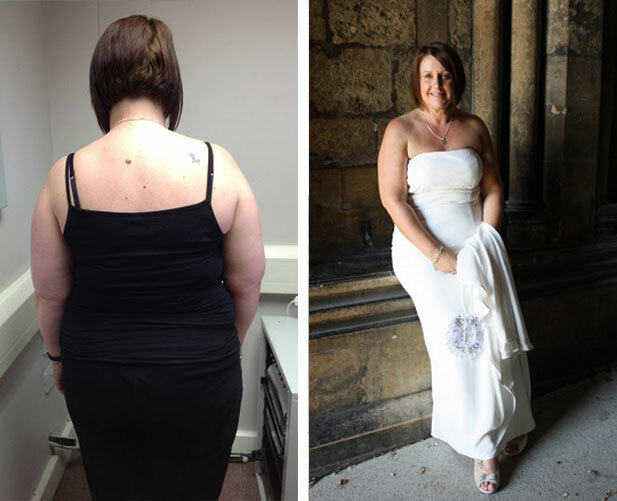 Lisa has lost another 2% in body fat, for her this equates to 5.5lb in actual fat lost. Her fitness is improving as she gets to grips with her training programme. Vitally her lean muscle is increasing and this will help in her efforts to become, and remain, lean. Great work. Lisa has lost another 6lb in actual fat, bringing her total fat loss, in just 3 weeks, to 21.5lbs. Calipers show body fat has decreased by another 1.7%. Lisa is sticking to her nutritional and training strategy and it is paying off. Excellent work. 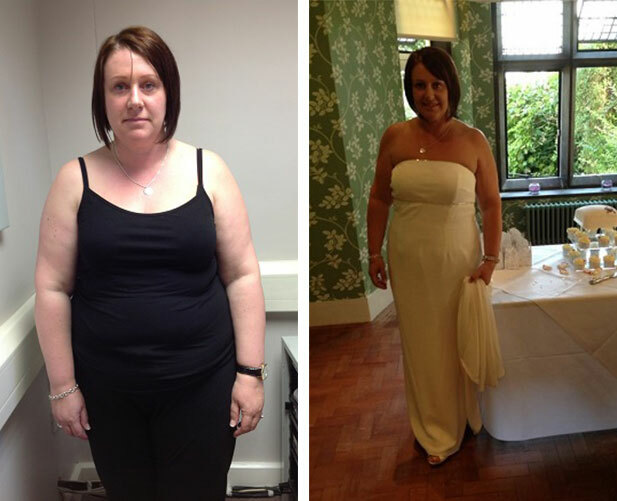 Lisa continues to go from strength to strength with her fitness levels. She has lost another 1% in body fat which equates to 3lb in actual fat lost. Absolute star. Lisa’s efforts continue to pay off, even while I was on holiday! After 7 weeks of training and following her bespoke nutritional strategy Lisa has now lost 27.5lb of actual fat and callipers show a total fall in body fat of 9.1%. We started a new training programme this week. Many congratulations on a great achievement so far. Lisa dropped another 0.8% in body fat, which equates to 2lb actual fat lost, in 6 days. We are slowly adapting nutritional strategy to avoid any plateaus and increasing training regularity (minimum 4 times a week). I also believe Lisa was in the last two weeks of her menstrual cycle and this can increase insulin resistance and hinder fat loss. Lisa has lost another 1% in body fat and 3lb in actual fat. Her body fat now stands 22% and she is 4 weeks away from her big day, everything is going in the right direction. In only 6 days Lisa has lost 2.5lbs and decreased her body fat by another percent. She is training 4 times a week and following the supplement strategy that has been adapted to maintain her loss. 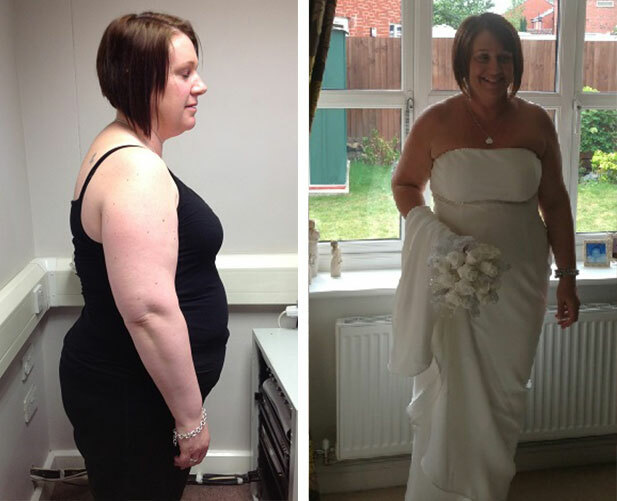 Lisa is a brilliant example of what bespoke training and nutritional advice can achieve. Lisa’s progress on the training programme has been phenomenal, her strength and fitness have gone through the roof; this week she has lost another 2.4lbs of fat. On Saturday she will be doing a high calorie and high carb day, (a re feed day), this will rev up her metabolism and help to prepare her for the dietary strategy I want her to follow leading up to her big day! With one week until her big day, Lisa now stands at 19.7% body fat and this week lost another 2.4lb in fat. Her transformation continues and deservedly so. Lisa started her journey with me at 32% body fat and I am delighted that when she got married last week she did so at 18.7%. Huge congratulations on both counts Lisa. Her journey continues with me and updates will follow.